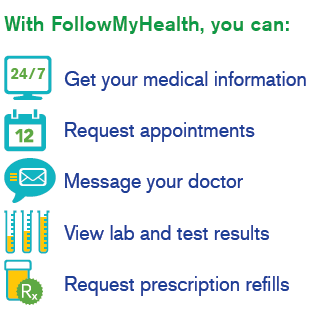 FollowMyHealth is a FREE online patient portal that provides anywhere, anytime access to your personal health records, and enables you to take a proactive role in managing your care. FollowMyHealth is used by tens of thousands of physicians as the “power” behind their hospital or clinic’s specific patient portal. Whether you’re looking to keep an eye on your weight, monitor your blood pressure, or manage a chronic condition, Follow My Health is the tool for you! Maintaining your privacy is our top priority and we have taken the necessary steps to ensure we meet your expectations as well as all federal and state privacy laws. The FollowMyHealth Universal Health Record is HIPAA-compliant in that it adheres to mandated encryption standards when receiving, sending, and storing a patient’s health information. You can also improve your care by joining the Bronx RHIO. This information network allows all of your healthcare providers to safely access and share your medical records. If you have any questions please contact 718-960-3730. To contact by email: followmyhealth@sbhny.org.